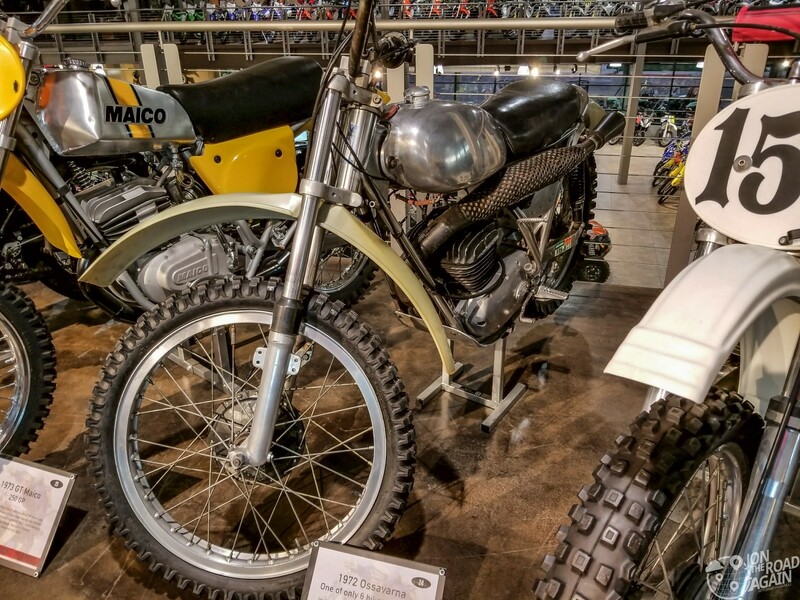 If you find yourself in Riverside, CA (perhaps you’re visiting the amazing Socal Supermoto) then you should stop by the Malcolm Smith Museum. 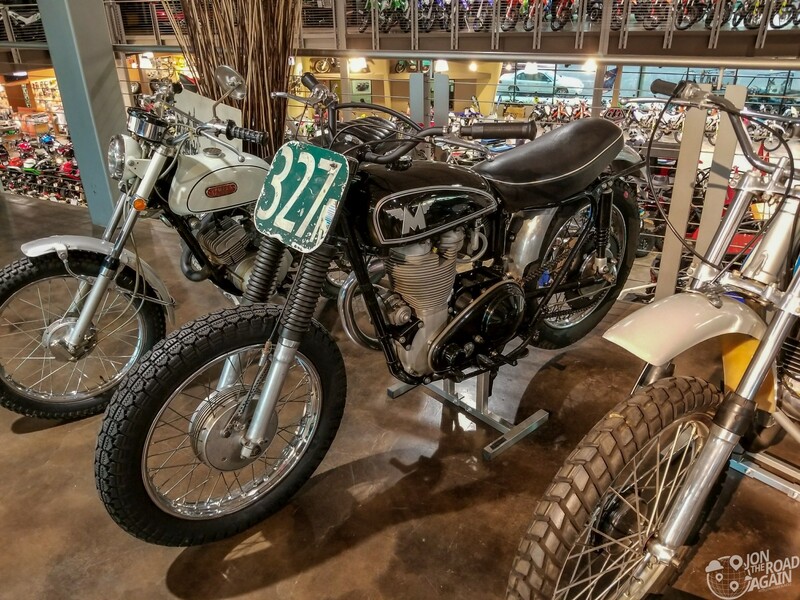 Hidden away in a powersports dealership owned by the Smith family, the Malcolm Smith Museum holds many motorcycles owned, restored and raced by Malcolm plus many other items from his long career in motorsports. Most famous for his appearance in the 1971 movie On Any Sunday, Malcolm Smith was more than a flash in the movie-making pan. 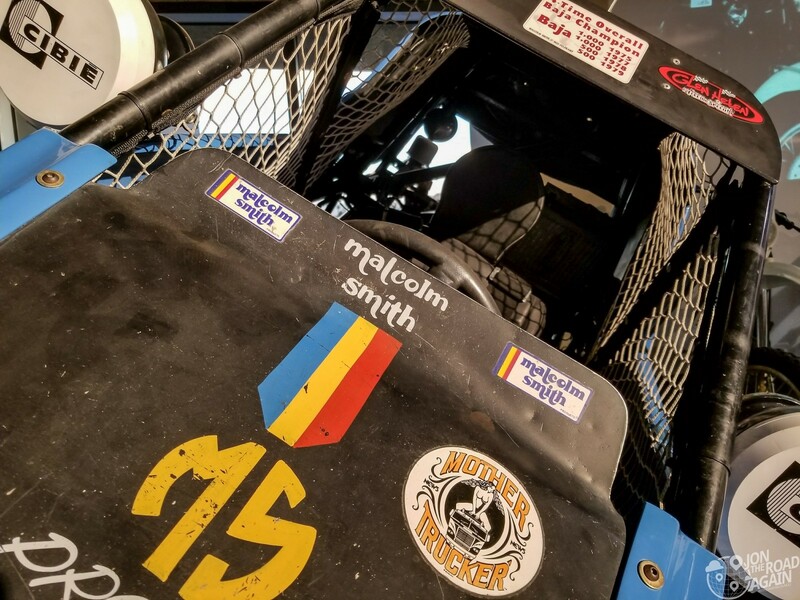 Malcolm is one of the winningest off-road motorcycle racers of all time, a pioneer in after-market racing products, and an AMA Hall of famer. Malcolm’s first bike is this very 1949 Matchless 500 G80. Racing motorcycles as a youngster and then staying in the industry your whole life will lead to having a nice motorcycle collection. Many of the bikes Malcolm has collected and restored are on display here. 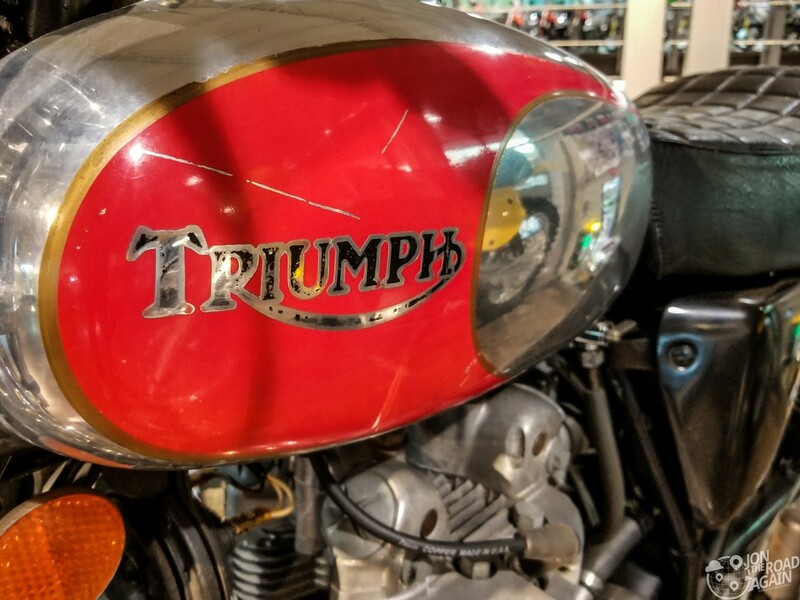 This 1972 “Ossavarna” is the only surviving bike of 6 originally created. 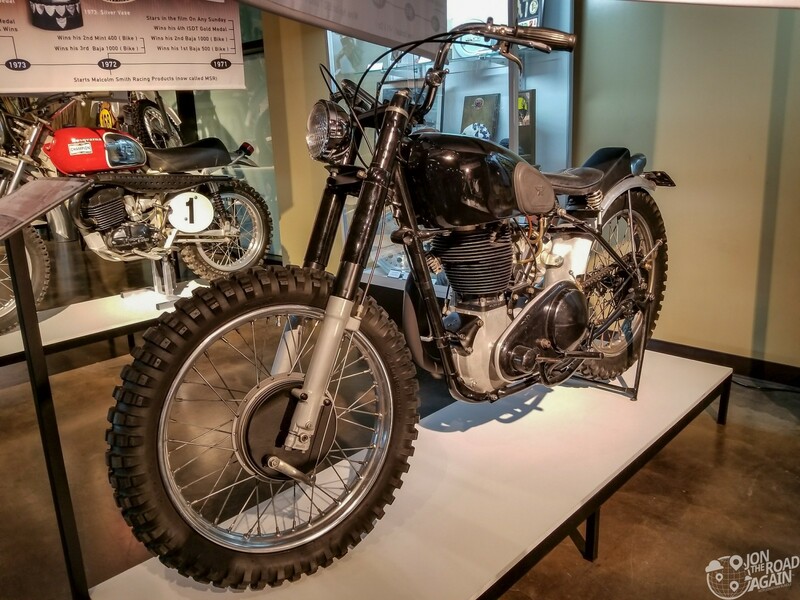 The cohorts involved with the movie On Any Sunday debated which parts of different bikes would add up to make the greatest off-roader. They ended up with a bike powered by an Ossa 250 with other parts pulled from Husqvarna. 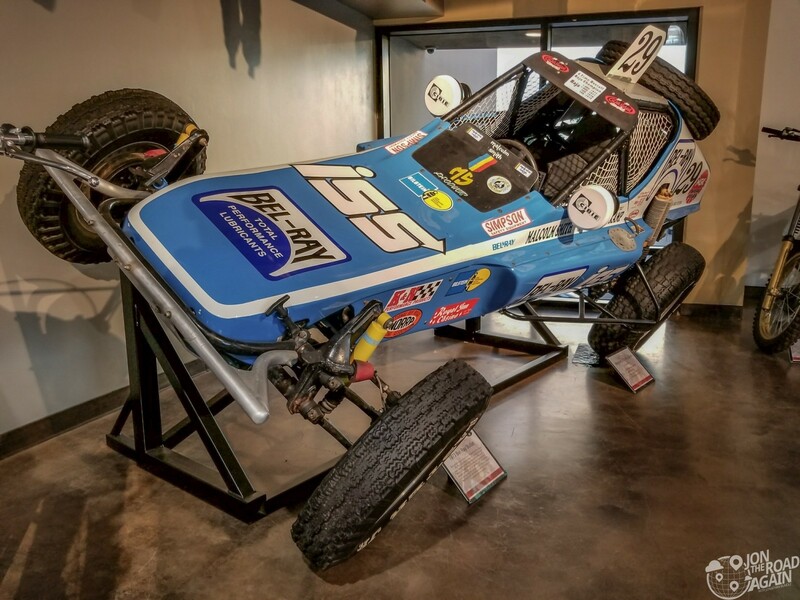 Malcolm and Bud Feldkamp built the Bel-Ray Bullet in 1973 for competition in the Baja 1,000 and 500 races. It did pretty well, winning them the 1,000 in 1975 and 1977. They won the 500 in 1978 and 1979. 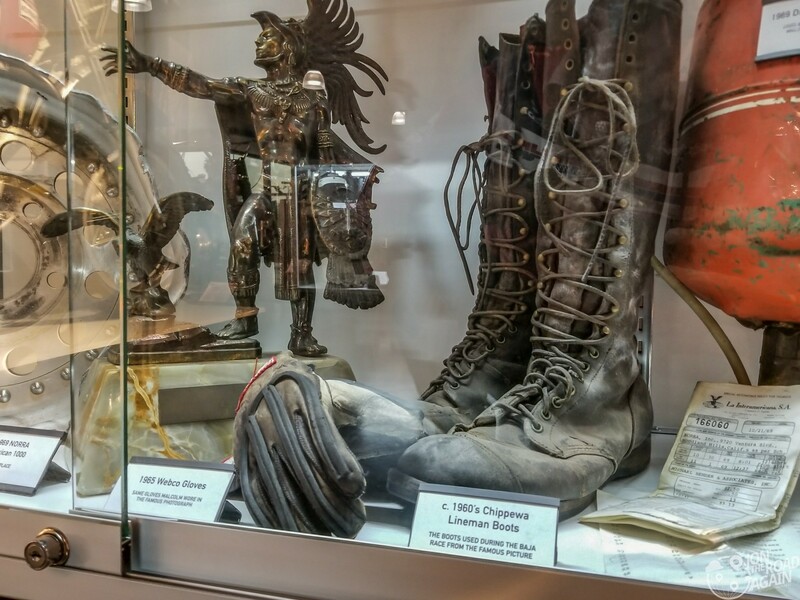 The Malcolm Smith Museum holds a ton of memorabilia from Malcolm’s racing days. 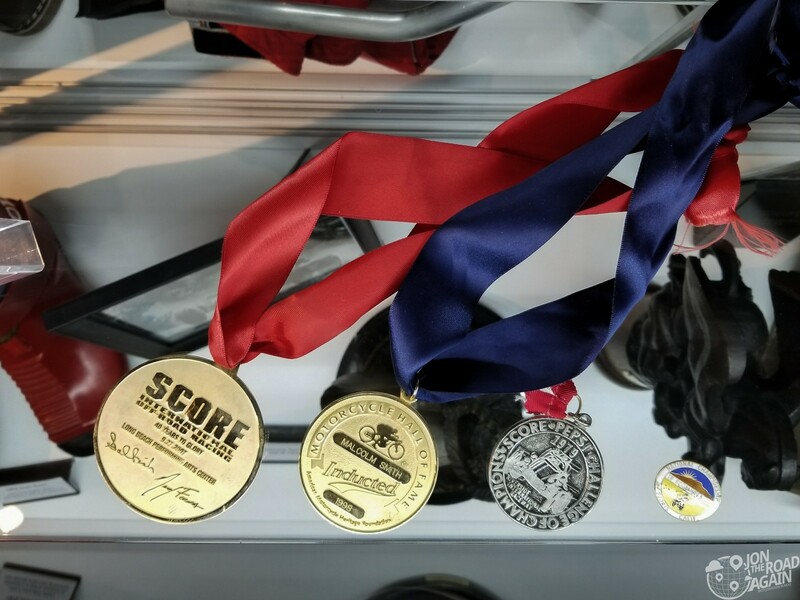 In this cabinet, you’ll see a smashed rim, a trophy, gloves and boots. I liked the odd trophies some of these races gave out. 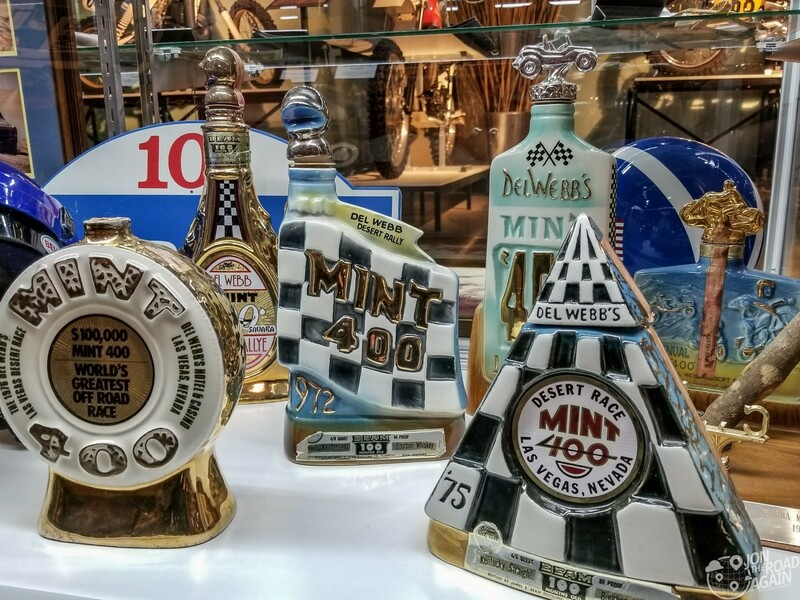 These ceramic whiskey decanters from the Mint 400 rally were favorites of mine. 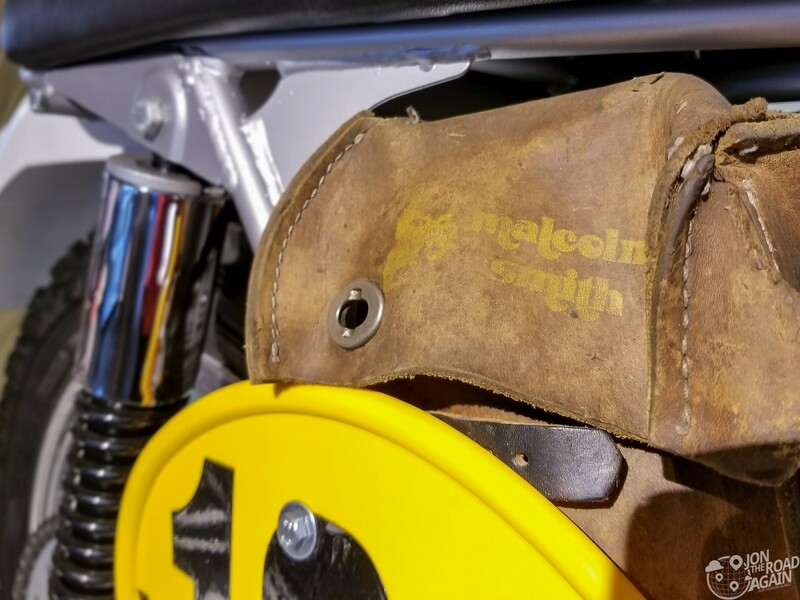 This tool bag is the very first item Malcolm Smith Racing Products ever made. MSR, as the company is now known, is a leader in off-road equipment and apparel. 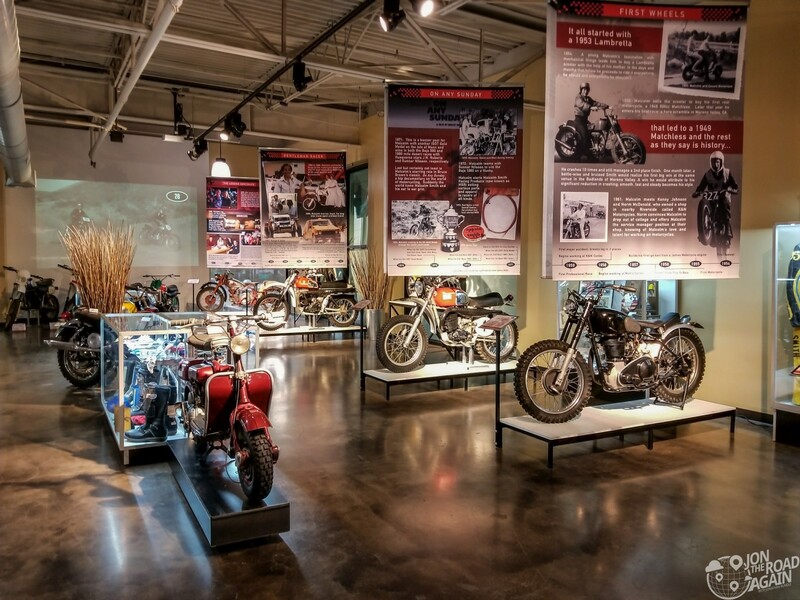 Visiting the museum is as simple as visiting Malcolm Smith Motorsports during business hours. The museum is on the top level, accessible by the stairs at the rear of the showroom. No admission fee. Hah! 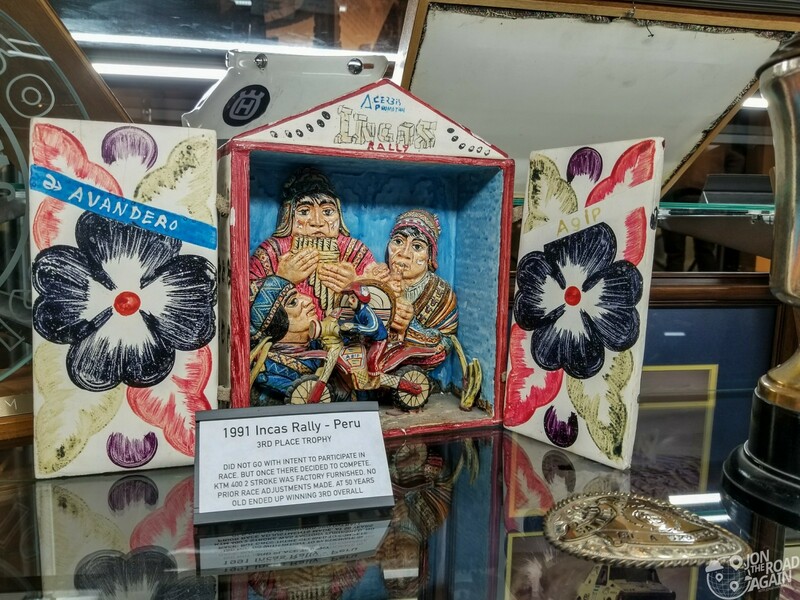 True, not the most remarkable museum in the world, but a fun little stop if you know it’s there. The man was remarkable even if this collection isn’t. Plus, you can’t beat the price of admission. So glad I sold Malcom the Ossavarna. nice to see my father’s bike in a collection. Was fun growing up with the Brown family and all the riding at the ranch off Ortega Hwy in the mid 1970’s. Such a special bike. I’m sure you have loads of stories to tell! Thanks for visiting and sharing! Nice old bikes! I remember seeing the movie,On Any Sunday, I believe it was part of a double feature at the Drive-In. It was one of the first real motorcycle movies of that era that wasn’t about biker gangs with poor acting.